Has a proven track record and more than 20 years of experience, working in the IT industry. 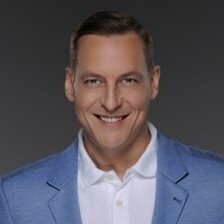 Currently working as VP of Marketing at Infopulse LLC, Jan Keil is a strong business development and marketing professional, who received his education at the Karlsruhe Institute of Technology, Germany. Jan previously ran several companies as CEO and start-ups as Business Angel, acted as interim manager for several international IT projects and well-known companies. In the past, Jan also run a security company focusing on biometrics. Since 2015 heavily involved in Blockchain related project development.